I might as well make available here some information that I've gathered. I will probably update it from time to time. Does anyone know if I have missed anything? Especially -- does anyone have comments on any of these? 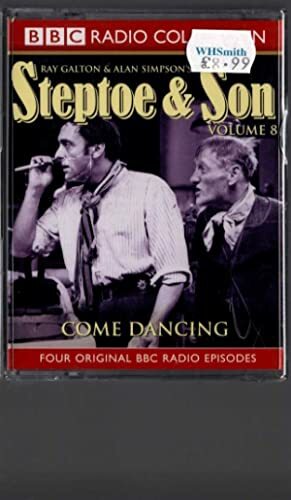 with the series title displayed in a distinctive typeface on the bottom of the front cover. The ones with a year are the ones I own(ed). Entries marked with C are from a Penguin Books catalog list (I neglected to record its year), listed as being in the Penguin Travel Library. Entries marked with an L are titles that were listed at the back of various copies in my Series collection as being other titles in the series. Entries marked with O are ones that, so far as I remember, I haven’t seen except as shown online. In some cases, I have added subtitles from abebooks.com descriptions. What a good list. Contains some of my favourites including the 2 Patrick Leigh-Fermor books, and As I Walked Out One Midsummer Morning by Laurie Lee. The original Laurie Lee trilogy of Cider with Rosie (growing up in pre-motor car Somerset), Midsummer (Where Lee walks to London and then across Spain), and A Moment of War (where he repeatedly avoids being shot as a spy in the Spanish civil war) are magical. Lee's writing has an ecstatic quality to it. Also check out A Rose in Winter, where he returns to Spain 15 years after the War. Check out Naples '44 by Norman Lewis. The fashion for "Travel Lit" arguably took off in the 1980s after Granta magazine published a special edition. Granta have published much more in this vein over the years. The magazines can often be had on eBay for not much and I think no.10 is still available on the Granta website. Good value and something of a classic. Here are a few books that may have been in the Penguin Travel Library. Perhaps I or someone else can confirm. I mean to post soon some comments on Beagle's I See By My Outfit. 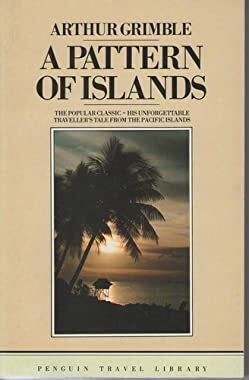 Don't know anything about Penguin travel library, but I notice there is no mention of the sequel to A Pattern of Island - Return to the Islands. Other travel books of that period and earlier (in case you want that sort of info). What about Elspeth Huxley - Flame Trees of Thika, several sequels and also her later travel in West Africa (Three Guineas). Gerald Durrell - both childhood in Corfu and later animal collections. David Attenboroughs Zoo Quests. I have Slow Boats to China by Gavin Young in a Picador Tavel Classics hardback. Really interesting book. First published 1981 by Hutchinson (it says on the fly-leaf) Looking at the other books on the list, many have been published previously by different imprints. Sure -- whatever readers want to contribute relating to the thread subject, which is a broad one indeed! I personally am thinking in terms of travel writing from the 19th century to now, but if someone wants to chime in with comments on Marco Polo or Gerald of Wales -- go ahead! And thanks, Hitmouse, for the link to the Picador line, which perhaps took the baton after the Penguin series ran its course -- ? There are several overlapping titles. Impressive! Some entries formerly in the Penguin Travel Library and some that weren't but could've been. What a lot of good reading. I admit that I would rather read my way through something like this than, say, the complete Arkham House catalog. Confirmed -- O This is about the Sahara. The original Laurie Lee trilogy of Cider with Rosie (growing up in pre-motor car Somerset), Midsummer (Where Lee walks to London and then across Spain), and A Moment of War (where he repeatedly avoids being shot as a spy in the Spanish civil war) are magical. Lee's writing has an ecstatic quality to it. Is there a story, perhaps on the eerie side, having something to do with a radio in the first book -- ? I know that is vague! I have an impression of having looked that up. But I have never read one of his books all the way through. Basically: reprints of public domain works and very cheap. 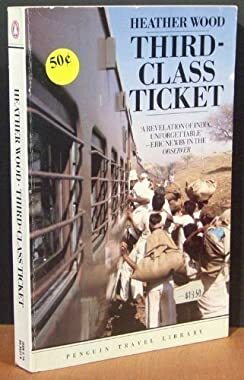 An eclectic collection of all sorts of subjects, but their travel list has a number of foundational classics: Richard Burton, Lewis & Clarke, Capt. Cook etc. A personal favourite is Following the Equator by Mark Twain; a clever and very funny writer. I cannot remember about the radio, but it wouldn't surprise me. The 3 books are available as an omnibus edition. I was transported. Corrected to Marnham; and I don't think this book, evidently of contemporary reportage from Africa, was in the Penguin Travel Library. I have this vague impression that the passage from Laurie Lee involves a woman and an overgrown garden or orchard, something like that -- I realize this is still vague! The books they took with them! Travel writers, expedition members, explorers -- they take books along for reading when wrapped up in their sleeping bags against the polar winds or when they're sprawling in their hammocks on a hot, sopping-wet-muggy tropical night. Trudging in British Guiana, Evelyn Waugh (Ninety-Two Days) takes a copy of Dickens's Nicholas Nickleby along. 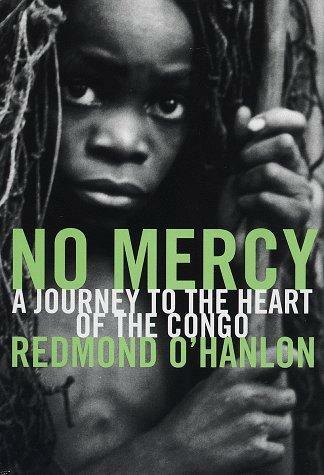 Redmond O'Hanlon wrote No Mercy about a Congo journey. His companion Lary is reading Dickens's Martin Chuzzlewit, while O'Hanlon reads Gide's Travels in the Congo. 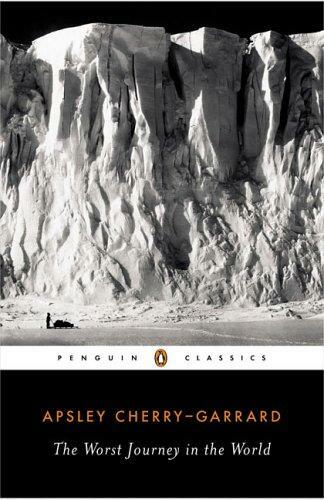 Apsley Cherry-Garrard (The Worst Journey in the World) -- Antarctica: "With regard to books we were moderately well provided with good modern fiction, and very well provided with such authors as Thackeray, Charlotte Brontë, Bulwer-Lytton and Dickens. 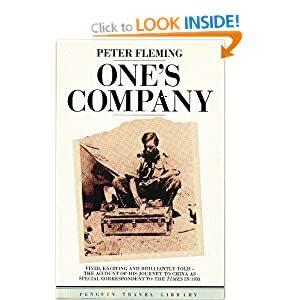 With respect to the kind givers of these books, I would suggest that the literature most acceptable to us in the circumstances under which we did most of our reading....was the best of the more recent novels, such as Barrie, Kipling, Merriman and Maurice Hewlett. We certainly should have taken with us as much of Shaw, Barker, Ibsen and Wells as we could lay our hands on, for the train of ideas started by these works and the discussions to which they would have given rise would have been a godsend to us in our isolated circumstances. The one type of book in which we were rich was Arctic and Antarctic travel. ....These were extremely popular ....[Dickens's] Bleak House was the most successful book I ever took away sledging, though a volume of poetry was useful, because it gave one something to learn by heart and repeat during the blank hours of the daily march, when the idle mind is all too apt to think of food in times of hunger, or possibly of purely imaginary grievances...."
Here's one more... Graham Greene in Mexico (The Lawless Roads / Another Mexico): "I had with me only [Victorian author Anthony Trollope's] Dr Thorne and the first volume of Cobbett's Rural Rides .... Dr Thorne I had to ration -- not more than twenty pages a day, to include my siesta in the afternoon. ...it was a cruel blow to discover that the binders had left out four pages -- a whole fifth of a ration -- at the climax. Somewhere in those four pages Mary Thorne's life changed from misery to happiness -- I wasn't to know exactly how." Greene adds: "one did want, I found, an English book in this hating and hateful country." If he'd read Dr. Thorne in England, he says, he might have had "mental reservations" before surrendering to the charm, "but here -- in this forgotten tropic town, among the ants and the beetles -- the simplicity of the sentiment did literally fill the eyes with tears." And he gives a page and a half to Trollope. He remembers how, when he went to Africa, he took Burton's Anatomy of Melancholy -- a mistake. You appear to be on a bit of a roll lately Extollager.. This travel lit thread is a beauty! I have a couple of travel anthologies as well as several penguin black classic (what else.. ) editions of travelogues including I think medieval and earlier. It's not an area I've been heavily into but one that has always fascinated me and now with this new thread I'll be able to look at adding to my current collection. @Additional idea: We could also include fictional travelouges. I'm being relatively broad here and including works such as Don Quixote. Really an emphasis on fictional charatcers who travel widely within a given story and where the travel itself is a main highlight of the book...maybe too broad? If it's up to me to make the call, I would say: Let's stick, on this thread, to nonfiction. It might be good to have a thread for discussing fictional journeys -- if so, would one want to stick with fiction set in our world, like the Quixote, or allow journeys in imaginary worlds, such as The Lord of the Rings, various novels by Jack Vance, and A Voyage to Arcturus? 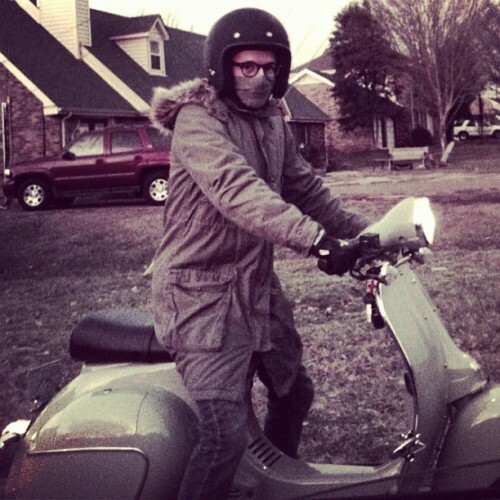 When I launched this conversation thread, I was thinking particularly of nonfiction narratives that belong between, on the one hand, accounts of arduous exploration, and, on the other, tourist travelogues; but what do other Chronsfolk think? Even I would not want to be too rigorous about that. One book I mentioned earlier, Cherry-Garrard's Worst Journey in the World, belongs on the "exploration" end of the spectrum, while Waugh's Labels (but not his Ninety-Two Days) would be pretty touristy. The other day I got a book that was later picked up for your beloved "black Penguins" editions -- I'll post about that at the Book Hauls thread. I'd say that the late Patrick Leigh Fermor's A Time of Gifts, which I finished yesterday, is a perfect example of a travel book. Ian Frazier, who is still very much a productive writer, wrote great examples of what might be considered a subset of "travel books" -- namely nonfiction road trip books; I recommend Great Plains, about a region that begins just a bit west of where I live, and Travels in Siberia. 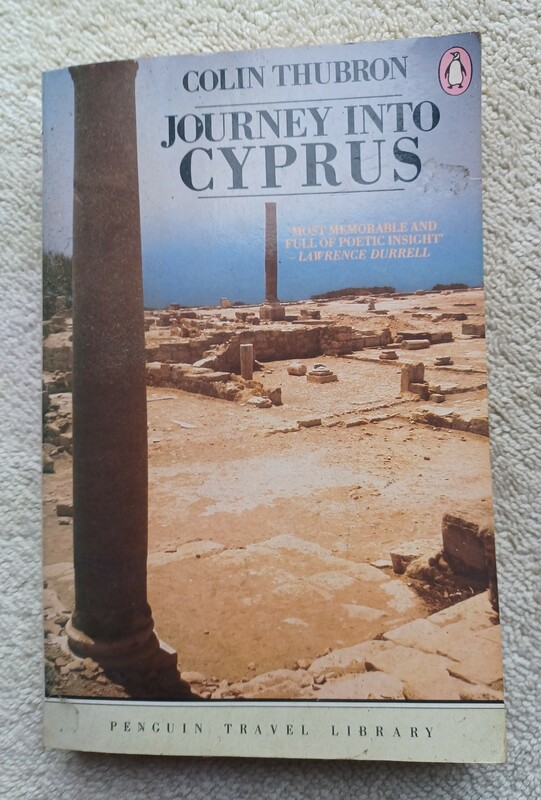 I've read about four of Colin Thubron's travel books, including two on Russia, one on China, and one on Cyprus. I could recommend any of those. All of Evelyn Waugh's travel books are collected in one Everyman's Library volume. Books like these let us meet some very interesting people, pick up some history painlessly, and move along the open road or along the forest path, eyes and ears wide open. Here's yet one more list -- the 100 Greatest Adventure Books of All Time as propounded by National Geographic Adventure magazine. Some of these are pretty far towards the exploration end of the spectrum that I mentioned in my previous message. I've read a number of these and all of the ones I've read were, indeed, good. This seems like an excellent list to me.